Secret’s Out: I Have a Book Coming!!! This is excellent advice, and when something good happens, I try to keep it in mind. But sometimes my enthusiasm gets the best of me. Sometimes it swells and takes on a life of its own. While I’d like to act like I’ve been there before, that’s a challenge for a girl who’s a bad actress and tends to wear her emotions on her sleeve. So I won’t lie. I won’t pretend I’m more refined than the burly football players who dance in the end zone after a touchdown, doing a happy jig, because I get those guys. Victory is sweet, and when you’ve worked hard toward the goal, it’s even better. With that said, I have a SPECIAL ANNOUNCEMENT. It’s been months in the making, and now I can let the cat out of the bag. I’ll soon release a book with Thomas Nelson. It’s for teen and tween girls. Release date is November 4, 2014. Once it’s out, it will be available everywhere books are sold. You can pre-order now at Amazon. For seven years I’ve dreamed about being a published author. My third daughter, Marie Claire, age 7, is my measuring stick because it was during her pregnancy I quit talking about writing and actually began. Before Marie Claire, I came up with excuses about why I was too busy. I put things like watering my ferns and mopping floors ahead of a dream I harbored deep down but was scared to pursue. As I realized my life would only get harder with a third child, I knew it was time to make a choice: make room in my busy life for something I loved or wait until I had an empty nest and could find all the time in the world to write my heart away. It’s obvious what I chose. And what I also hope is obvious is that if a dream can come true for me, it can come true for you, too. If you’re willing, I’d be grateful for your support. 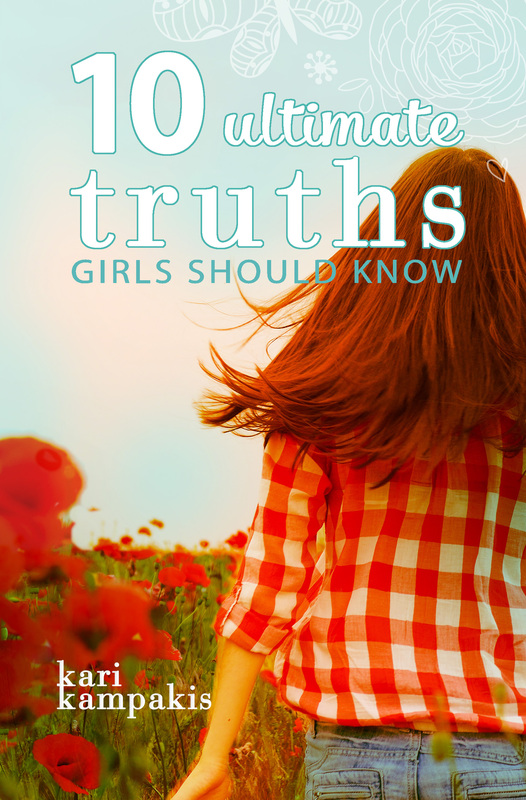 Most importantly, I’d appreciate your prayers that 10 Ultimate Truths Girls Should Know touches the heart of teenage girls. My goal is to offer a practical road map based on God’s timeless truths that can help them find love, security, and acceptance without compromising their integrity or future. This book is everything I want my daughters to know. It’s my love letter to them. I’d also love your help spreading the word. Please consider sharing this post through the social media below to let your friends know it’s coming and available for pre-order! Tell your pastor, priest, youth leader, cheerleader sponsor, dance instructor – anyone who works with young women and cares about who they’re becoming. 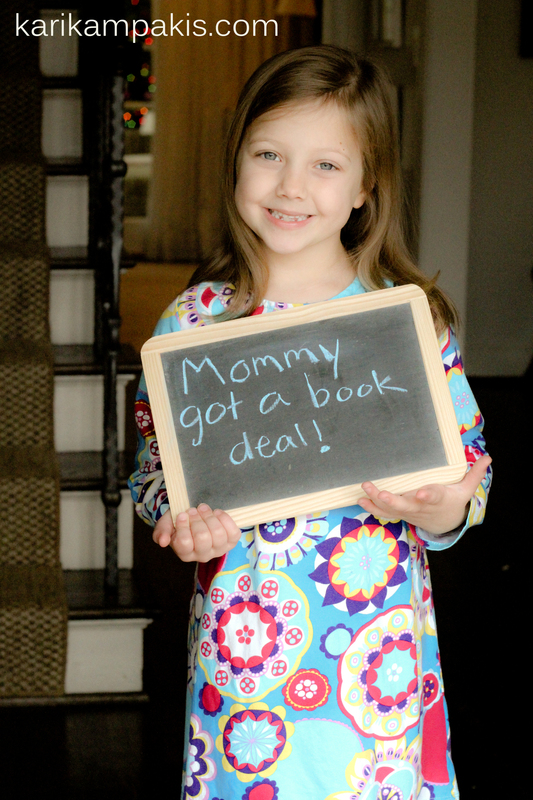 One of my hopes is to speak at large mother-daughter or father-daughter events with a book signing afterward. I have a few events set up at this point, so if your church or girls’ organization is interested (especially if you live near Birmingham, Alabama), feel free to email me at kari@karikampakis.com. Also, if you have a retail store or boutique interested in carrying the book or hosting a signing, send me your information and I’ll pass it on to Thomas Nelson’s marketing team. This book would be a terrific fit in any venue where mothers and daughters shop. I owe a huge thank you to those who read my blog and newspaper column in Village Living and 280 Living. YOU made this happen by sharing my work, which allowed it to ultimately catch a publisher’s attention. I’m so grateful for your support. If you’re new here, please join my FACEBOOK COMMUNITY or subscribe to my blog.